FRIDAY, April 13, 2018 (HealthDay News) -- Breathe easy, Mom and Dad. Sending your young children to preschool or day care probably won't increase their risk of developing asthma. In fact, researchers report, it may help protect your kids against the respiratory disease. Investigators at the University of California, San Francisco (UCSF) based that conclusion on an analysis of 32 studies published between 1964 and 2017. 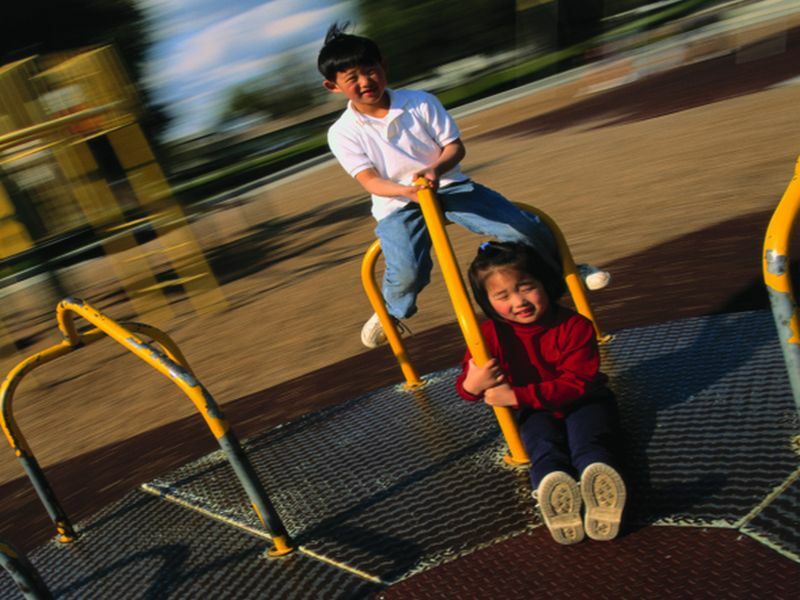 They found no link between preschool/day care attendance and increased asthma risk. For 3- to 5-year-olds, going to child care was actually associated with a 34 percent reduction in asthma risk. "The early benefit of child care exposure can potentially be explained by the hygiene hypothesis," said senior study author Dr. Michael Cabana, chief of the UCSF Division of General Pediatrics. That theory suggests that childhood exposure to germs helps the immune system develop properly so it doesn't overreact to harmless substances and then trigger allergic conditions such as asthma, according to the Mayo Clinic. At first glance, the news for the youngest kids was not as encouraging. Among those aged 2 and younger, child care was associated with nearly double the risk of wheezing. But Cabana suggested that may not be as worrisome as it might sound. "There's a saying that, 'All that wheezes is not asthma,' " he said. "Wheeze is a common presentation of viral airway infections that is seen frequently in young children in child care. Bronchiolitis, for example, is found in up to one third of children 2 and under. But it doesn't necessarily lead to asthma." Use of outside-the-home child care is on the rise. In 2011, according to U.S. Census data, 61 percent of preschool-aged kids were in child care, up from 52 percent in 1993. About 8 percent of U.S. children and teens have asthma, according to the U.S. Centers for Disease Control and Prevention. The study was published April 9 in the Journal of Asthma. The American Lung Association has more on children and asthma.